Lawless London provides walking tours that focus on the city's notorious history. Join us for a tour and meet the people who pushed the boundaries of the law and those who tried to police them. There are a plethora of books and websites available on the Whitechapel Murders, ranging from the ridiculous and worrying to the scholarly and insightful. Here are a handful that I have found to be well-researched and informative. Sugden’s book balances detailed historical research with gripping story telling. It provides a thorough account of the events surrounding the Whitechapel Murders and critically analyses some of the most popular theories regarding Jack the Ripper’s identity. This book is a good starting point for anyone new to the subject. This compilation of scholarly and inter-displinary articles is one of the best attempts I have encountered of embedding the Whitechapel Murders within their historical context. The book was published in conjunction with an exhibition on the murders at the Museum of London, and consequently features work by well-established academics. The range of topics includes the immigrant experience of the East End, female heroism, and housing conditions. It is wonderfully illustrated and the richness of the pictures bring the Victorian East End to life. Grey’s book uses the Whitechapel Murders as a starting point from which to investigate a much wider range of social, economic, and cultural themes. In doing so he writes on several crucial topics that are essential for anyone who wants to understand the context in which these murders took place; newspapers coverage and sensationalism, social investigation and housing reform, and the divisions between ‘East’ and ‘West’ London. Casebook is a comprehensive repository for all things related to the Whitechapel Murders. I find it a useful reference tool as it has information on every person and every event that is related to the killings. The website is geared towards the uncovering of Jack the Ripper’s identity though and some of the content ought to be treaten with caution, particularly the research articles. Turner’s Court: The forgotten slum? 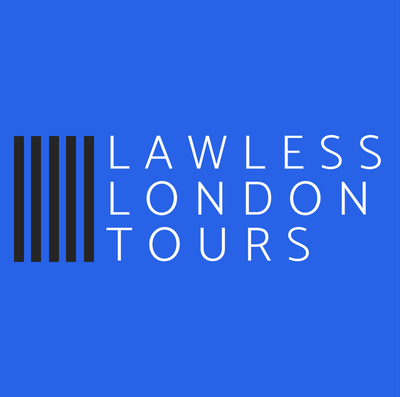 Enter your email address to receive the latest news about Lawless London's tours and to get blog updatesemail.